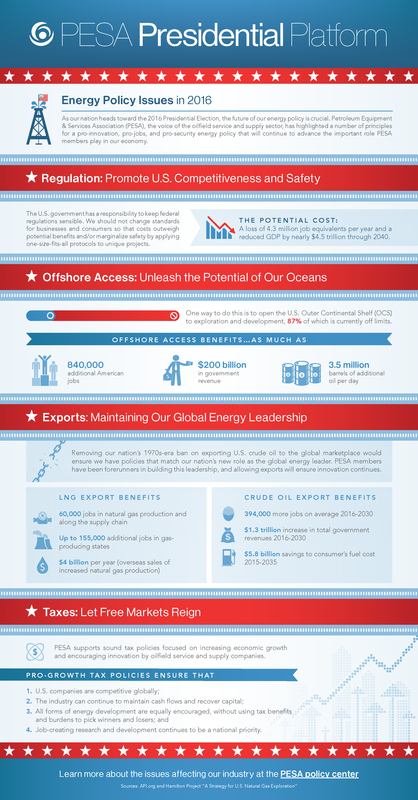 As our nation heads toward the 2016 Presidential Election, the future of our energy policy is crucial. Petroleum Equipment & Services Association (PESA), the voice of the oilfield service and supply sector, has highlighted a number of principles for a pro-innovation, pro-jobs, and pro-security energy policy that will continue to advance the important role PESA members play in our economy. Download a PDF of the Presidential Platform.